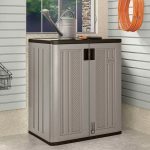 Again, BillyOh give us a sentry box for a great price. 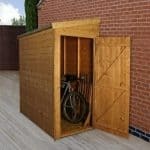 Apart from a small issue with space, this is an excellent storage sentry box that should be strong and durable enough to keep you happy for years. It is also pre-treated. 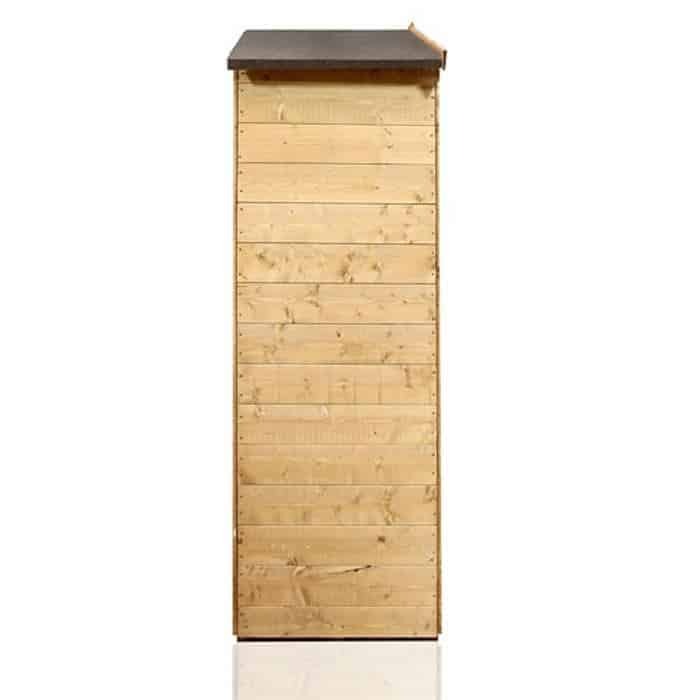 This is an attractive sentry box that should prove to be pretty useful if you have some storage requirements in your garden. The important measurements include the width, and this sentry box has a width of 113 cm, which reduces down to 87.4 cm internally. 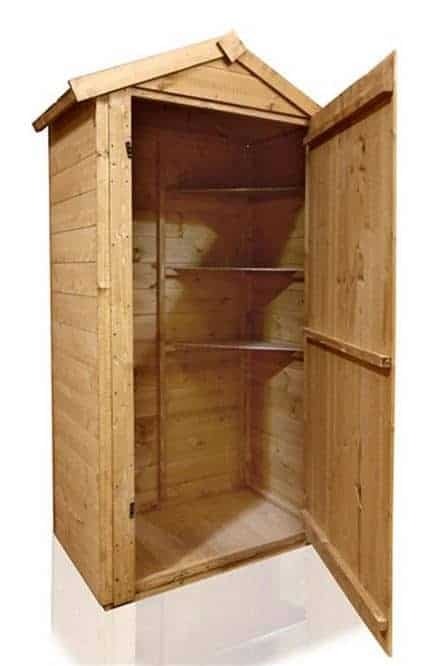 the depth is 64.6 cm and this reduces down to 58.6 cm internally. So there is a little loss there, and we feel that there is some real loss of width internally due to the thickness of the cladding, and other features. The roof is in the apex style, and this means that you have extra height inside, which compensates somewhat for the loss in width. 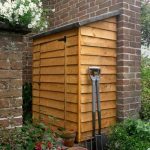 Tongue and groove is used in cladding in this sentry box. This is good news because it should ensure that you have a building you can use for a long time. That tongue and groove is also used, incidentally, on the roof. So that’s real quality throughout. The tongue and groove locks together to provide a watertight and smooth exterior. To back all of that up, you also get some solid tongue and groove in the flooring. Again, this is exceptional stuff, and really lifts this sentry box up above any competition. The simple fact is that you don’t necessarily expect tongue and groove in something for this price. More value here as this sentry box has been pre-treated at the factory. This gives you plenty of resilience throughout the years, and on top of that it also takes away the need to treat the unit annually. There is a real bonus here, because you get a door opening that is very generous. 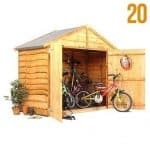 If you are bringing in bulky and tall tools you need to have a door opening width that is suitable, and this unit has a width on that opening of 72.8 cm. A turn button is supplied with the unit and this is adequate security for the building. You can obviously fit a padlock if you wish to do so, but the turn button does a pretty good job of keeping everything safe. No customisation options are given. This is a very strong build when it comes to quality. There are plenty of good points here, including the tongue and groove work. 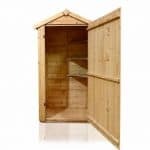 We like the apex roof as a sign of quality too, because it ensures that you have extra head room inside. It's a well made piece. No worries here, and the building has tongue and groove throughout and that base coat applied at the factory. It’s solid. You are limited by what you have bought here. The width loss is a little issue, and we think that there could have been a little more thought put into that area. Have two people on the case and you should have it done and dusted in an hour. You can’t really argue with tongue and groove when it comes to value. And we like the fact that there is an apex roof (again, not usual in storage of this size) and a basecoat. It’s worth the money, apart from the width issue. Final Thoughts: The width issue aside, there is a lot here to be happy with. 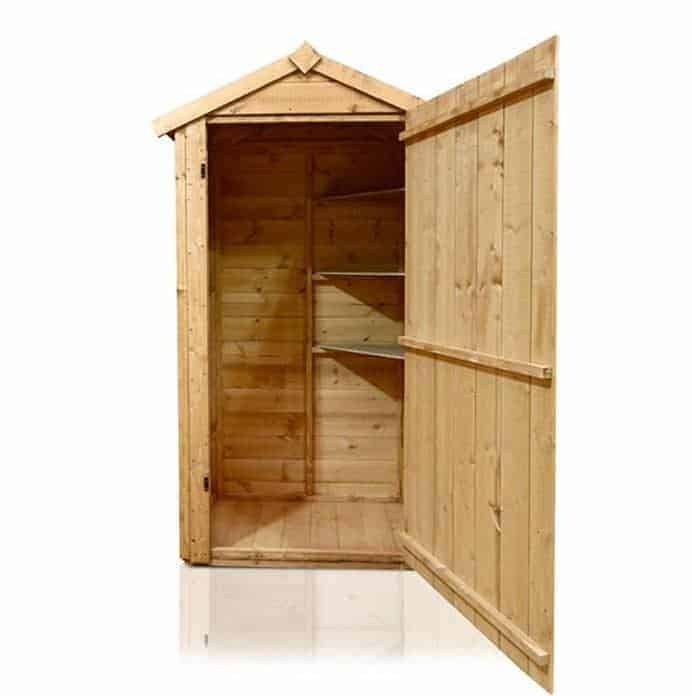 Get over the small loss in storage space and you have a very tough and resilient box that should allow you to store belongings for a very long time to come.